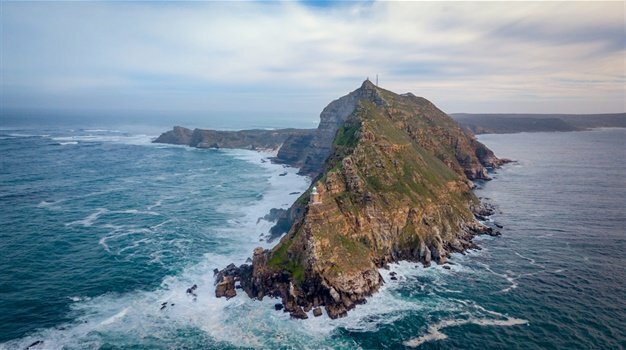 South Africa is spoilt with an abundance of beautiful hiking trails, many of which are situated around the 7th Wonder of the World, right on the southern-most tip of the African continent. And yeah, taking a hike and strolling along the footpaths in such a spectacular setting is absolutely breathtaking. This summer, locals and visitors alike will again traverse the trails on and around Table Mountain and the Mother City like they always do. But if you're looking to have a head start before the crowds, look no further than our 2016/2017 Summer Cape Town hiking guide. Traveller24 has put together the insider guide to the best hiking trails where you can climb steep mountains, walk alongside waterfalls, explore hidden forests and venture over hills or take the family for a outdoorsy bonding experience. Considering the rough terrains of Table Mountain, Devil's Peak and the myriad of other hiking hotspots in Cape Town, danger comes standard. Many a traveller have had to be rescued off the mountains of the Cape, and some have even suffered fatal injuries. Snakes are also part of the natural surroundings, and you need to be considerate of their presence when hiking - especially in summer. If you find yourself in close contact with a snake this summer, the first thing to do is to contact your nearest CapeNature regional office. Keep your distance from the snake, while watching its movement. Take note of what is it doing and where is it going. Now that you have the safety requirements and precautions down, you can start exploring the Cape mountains and forests. Though these routes are often jam-packed with hikers, there's a reason they're as popular as they are. Loved for its easy access to perhaps one of the best views in SA - a panorama overlooking Cape Town, Table Mountain and the vast Atlantic Ocean. Monthly, travellers trek up the steep ladders for the full moon hike - another must-do Cape Town experience. If you go, take care to adhere to all safety rules and regulations to avoid any injuries or accidents. For those who wish to hike up Table Mountain instead of taking the cable car, the Platteklip Gorge route is the most direct route, although it's also arguably the most challenging one. The route consists of steps all the way to the top, but do not let this fool you - your legs will be jelly once you get to the top! Nonetheless, the hike offers spectacular views of the Mother City bowl, which makes enduring the crowds and queues worthwhile. Located in the central section of the Table Mountain National Park (TMNP), Silvermine offers some of the best hikes in Cape Town - with beautiful fynbos landscapes. This hike makes up part of the Hoerikwaggo Trail and, though long, is relatively easy due to built paths and guides. Starting at Slangkop Point, it involves walks along Noordhoek Beach up Chapman’s Peak, then further up to Noordhoek Peak and finally onto the Amphitheatre Path above Silvermine. Hikers can walk to the top of the Constantaiburg Mountain for perfect views of Hout Bay or simply stroll around the reservoir's wheelchair friendly boardwalk. There are also picturesque braai/ picnic sites available. This one is more popular with cyclists than hikers, but the Tokai forest is a perfect place for a quick stroll or a steady climb up to the mountain slopes above it. The majority of the trees aren’t indigenous, but they do provide shade against the summer sun just as well. This urban haven is a popular spot for those after-work escapes to nature. Trees line the shady paths, there are plenty of cool streams to splash in (if not for you, perhaps for your dog) and a myriad of paths leading through the forest and up onto the mountain slopes above it can all be found in Newlands Forest. The routes we’ve chosen take you up onto these slopes, but if you just want a quick walk this is an ideal spot to walk your dogs (and children). Known as the 'scenic route' up Table Mountain, Skeleton Gorge, situated in Kirstenbosch Botanical Gardens, is a little more advanced and requires some scrambling to get to the top. That being said, many families with little ones take on the challenge like a piece of cake. The trees in the gorge provide lovely shade almost all the way to the top, where you will be rewarded with a view from the top of the big mountain. The ever-popular Pipe Track is also a must-do if you're after a lovely view over the city and the Atlantic Ocean. If you go, however, be advised of the changes in the route following flooding in the area. Mother City residents are often spoilt by the abundant offering of easily-accessible outdoor activities right on their doorsteps. If you live anywhere around Table Mountain, you basically live inside a national park that's dedicated to protecting a natural world wonder, its flora and fauna, and to showcase this unique beauty to visitors. This means to live in a natural, protected playground where you can hike, cycle, mountain bike and walk to your heart's desire. All you need is some inside info to tell you where to go and what to do and see. The Tierbos Waterfall walk is a 20 minute hike up to a hidden valley along the Baviaanskloof River that reveals a year round waterfall. If you're not up for a hefty hike, you can also access Tierboskloof via a few shorter walks that meander through many species of fauna and flora. De Hel Nature Area is a riverine valley adjoining Table Mountain below Rhodes Drive to the northeast of Constantia Nek. The upper reaches of the Spaanschemat River runs through this 21,3-hectare natural area, and environmental surveys of De Hel show that the site remains in a near natural condition. If you'd like to escape the city buzz stat, this small reserve on the lowest slopes of Table Mountain should be your go-to place. Once you’ve walked up a bit you’ll have a clear view of the mountain right ahead, and here you can choose to link up to a longer hike if you’re up for it. The best part is? It's dog-friendly so the whole family can join in. Tygerberg Nature Reserve lies in the northern suburbs of Cape Town. Proclaimed as a Local Authority Nature Reserve in 1973, it supports one of the last remnants of the critically endangered Swartland shale renosterveld vegetation type. The reserve covers an area of 309 hectares and boasts 562 different plant species. Of these, 23 are threatened, eight are endemic to Cape Town, and three endemic to Tygerberg itself. The bay lies in the shadow of the Kalkbaaiberg and Elsie’s Peak headlands, which are dotted with homes that take advantage of wonderful views of the bay. The long, white, sandy beach at Fish Hoek is one of the safest on the False Bay coast, making it ideal for long walks. If we have to pick a favourite, however, the Muizenberg Peak and Cave would be tops. According to Cape Town hiking legend Mike Lundy, you should start this walk at the Muizenberg station – with the idea being you catch the train to Muizenberg from the city. It makes for the perfect family outing and ticks all of our boxes for family bonding and exploring. We use the term 'extreme' relatively here. Which means that advance, technically equipped hikers with ropes and harnesses would perhaps find these routes a little mundane. Fun-lovers who enjoy a four-legged scramble over some boulders, or a squeeze through a crack in the mountain-face, however, need to make this their bucket list. This path zig-zags up from Tafelberg Road at the Cable Car Station, and then takes a steep route up to the peak. There are fantastic views of Table Mountain and the city below once you reach the top. Also, apart from on Signal Hill across the way, the slopes of Devil’s Peak are the only place on earth where you can still find the critically endangered Peninsula Shale Renosterveld. Endemic to the Cape Peninsula, this vegetation has been threatened by urban expansion. Left Face B, also known as Mystery B, takes in all the beauty of the setting of the mountainside above the Mother City, including some sweat-breaking climbs! The route takes its name from the fact that it follows a snaking course to the left of Platteklip Gorge, and is not to be attempted by beginners. The name says it all, doesn't it? This hike is in the Hottentots Holland Nature Reserve just over an hour from Cape Town. It’s an eight hour, physically taxing hike. It's also not one for the fainthearted, as there are plenty of very high jumps down the river into the pools below. If the thought of Kloofing excites you rather than scare you, however, this is the hike for you! We recommend you do this one with a guide, as it can be dangerous. One of the most strenuous hiking trails in the Cape, it involves boulder-hopping in the Myburgh River, as well as ravines to scale. In winter, especially after it rains, the route is a mess. But in summer, the hike is to perfect adventurous route to get to the top - from where you'll be able to see the beautiful views of the Twelve Apostles, Clifton, Camps Bay, Oudekraal and Llandudno. Also, between January and March, you might even spot the beautiful and distinct Disa uniflora on the route. This walk has only mild uphill sections, with mainly flat and downhill paths - making it an easy stroll. It’s one of the best views on the walk is the aerial view of Kirstenbosch with the towering slopes of Table Mountain to the left. This route starts at the Pipe Track above Camps Bay but deviates as you take Corridor Ravine to the top of the mountain. Tranquillity Cracks refers directly to deep fissures in the rocks above Camps Bay through which one passes, about halfway along the Twelve Apostles. Beyond the cracks is a labyrinth of rocky corridors. There are a number of passages to choose from, all of which offer incredible views. Inside the cracks grow yellowwood trees that have earned the hike the alternative title of Yellowwood Cracks. Set in the Cape Point Nature Reserve, this route has the added bonus of spotting wildlife! Expect to hike past a herd of bontebok or a troop of baboons foraging in the rock pools. If that’s not enough excitement for a seaside stroll, there are the shipwrecks dotted along the wild beaches to explore. It's a narrow path to a heavenly destination, but the reward of seeing the icy Atlantic ocean from the very tip of the African continent makes it all worth while. This secret route starts at the Constantia Neck parking area, and can only be hiked with an experienced guide. As you will follow the guide it is not necessary to give any directions for the hike, but you will follow the ring road and then turn into the beautiful gorge. It's the perfect route for summer, as it gets flooded during the rainy season quite easily. NOTE: Do not attempt the route without the required permits or guides. There are also only 12 persons allowed in the group. If you've got time (and you've made a reservation well in advance) you can also opt for the iconic Whale Trail in the De Hoop Nature Reserve outside Bredasdorp. Aptly named after hundreds of Southern right whales that journey to the De Hoop Nature Reserve every year to calve and mate, the De Hoop Whale Trail is one of the best whale-watching spots on the planet. Stretching over 55 kilometres from Potberg to Koppie Alleen, this five-night hike will entertain you with its abundance of flora and bird species along the route. This is a four-day trail along the unspoiled Overberg Coast. You will see the large seal breeding colony, Quoin Point light house, the Buffelsjags fishing village, two shipwrecks and the Ghost town - a deserted holiday village buried in the sand. marine ecology, fynbos medicinal plants and flowers, an in-depth understanding of Khoisan history and the many shipwrecks in these waters. - Shipwreck Hiking Trail: Pure winter slackpacking magic!